I‘ve encouraged my daughters over the years to wear a ‘signature scent’ or have a signature type or piece of jewelry as just a fun way to express their uniqueness. Even if style isn’t your big thing, having one special look you strive for or a scent you love can help you feel special, put together, and stylish, don’t you think? Having a signature style for our home is also something that is attainable for all of us! In any home (rented or owned, small or big!) we have the opportunity to express who we are, what we love, where we’ve been, and the type of life we live in so many ways. That will give us a one-of-a-kind style! I love being invited into others’ homes and feeling that genuine sense of warmth that is expressed by the person and their home. That’s what I love about a signature style. 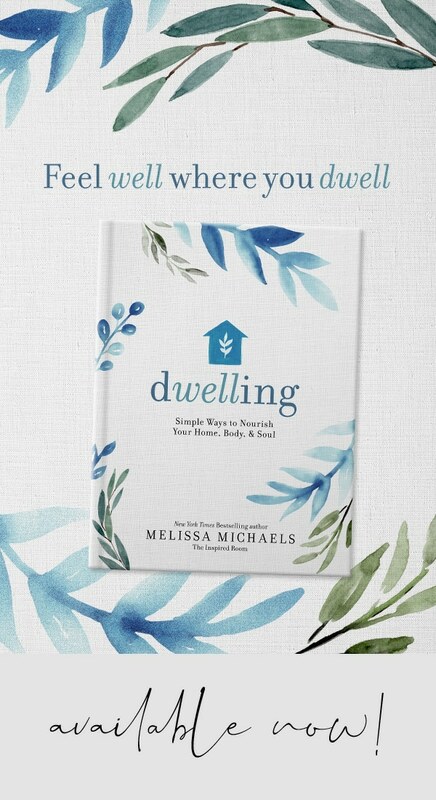 I was doing a radio interview the other day and the host asked me why sometimes she goes in one house and it feels “designed” and another house feels personal and homey? 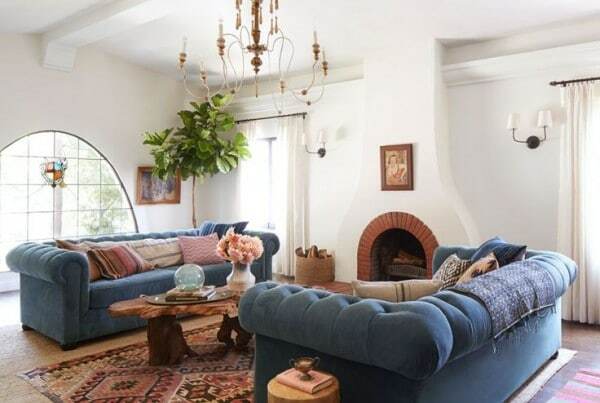 Among many reasons, I think when that happens we are sensing a deeper connection to the home expressed through their personal style. Do you feel like you have a signature style? Maybe you haven’t really thought about it before. Or maybe you have a general idea of a style you like, but you haven’t defined it or made it your own. 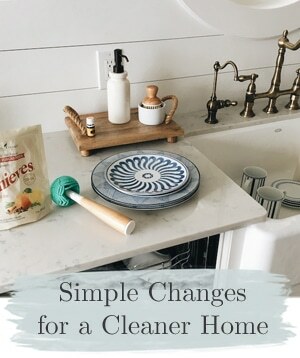 In my own home, I love having a mix of flea market finds, new furniture, hand-me-down antiques, and things that I have made or embellished to be my own. Even if we are inspired to have similar styles or similar things to someone else, our own special mix will give us a one-of-a-kind and authentic style. You don’t have to have a name for your signature style, just acquire what you love and what works for you. Use a color palette that inspires you. Look for unique pieces that make your heart leap with joy! Being aware of our signature style helps immensely when planning a room or shopping for the home. Most people collect furniture and accessories over time, so knowing what to look for becomes much easier when you can quickly recognize elements that fit with your signature style. Once you have ‘defined’ your style, remember that you don’t have to be stuck with it! Because style is so personal, you can always try new things, take risks, and keep mixing things up. Even as your style evolves, if you stay true to who you are you’ll always have an evolving signature style all your own. I loved all the responses to my post a few months ago, “Get to Know You: Your Style“. It was so great to see how you each describe your individual styles! Sometimes it’s hard to pinpoint and that’s OK, but it is fun to try to dissect what makes our style feel like US, isn’t it? Do you have a signature style, or maybe even a signature furniture piece in your home, a unique piece that you absolutely love? Thought provoking post today, Melissa. I believe there is no right or wrong way to decorate your home. If you love it, it works. Very inspiring! 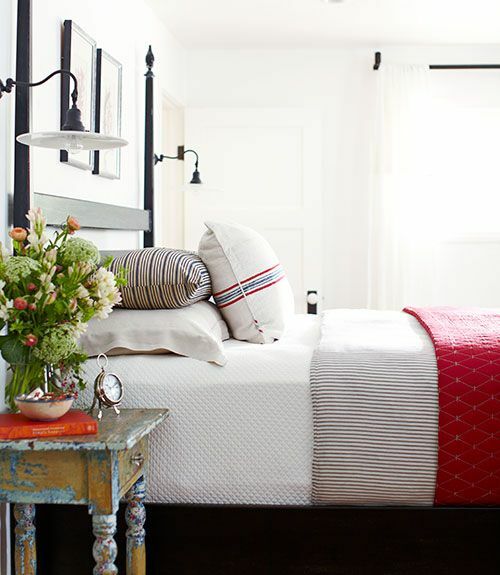 I am trying to work on making nice looking rooms that still feel “me” – it’s a very odd balance that you have to find! Thanks for this guide on making it! Yes, I have a super large mirror in the living room that has become my signature. It makes any home me. From reading “Love the Home You Have” and “The Inspired Room” I have finally identified my style: British Colonial! I didn’t even know there was such a thing, but that’s how I decorated our Cape Cod. Now that we’ve moved into a Craftsman-styled bungalow I’m struggling to make the two styles work. But I’m finally seeing ways to blend the two worlds. I had put so many of my older items in the basement storage because they didn’t seem to fit in. Now I’m getting a new vision for using the pieces that I truly love in THIS home. Thanks, Jo! :) That makes sense on your signature scent, I’ve heard that before! better than when the last owners had lived there. She told me it had an eclectic look. permission to express myself through what I surround myself. Love your posts. This post spoke to me today! I’m in the place where I’m trying to figure it out for myself as I set up our new townhouse we moved into a couple months ago. I don’t know if I could sum it up in one word, but that is because its a collection of different ones- modern, clean, shabby chic, with a touch of natural elements mixed in? 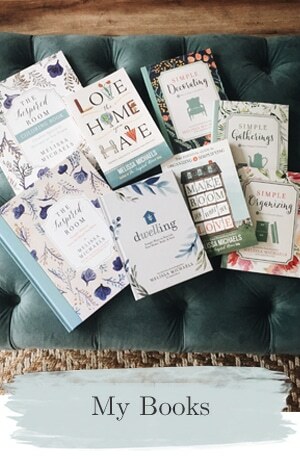 I’m enjoying the exploration of it and realizing that I while I drool over the picture perfect magazine photos in Pottery Barn and BHG, I also don’t want those perfect rooms because then it means that no one is LIVING life in them. 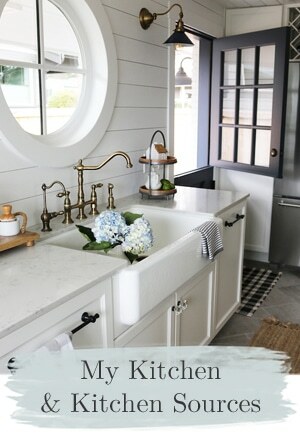 My new mantra is letting the home reflect the life my husband and I live. 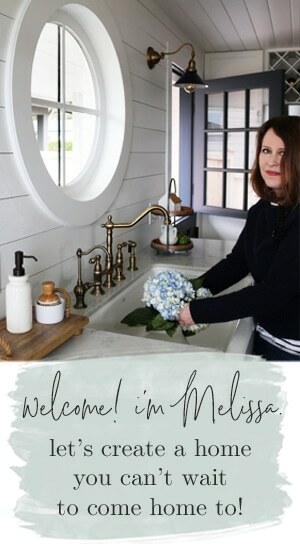 Thanks for the post Melissa! This is a great post. I think a lot of us often struggle to identify “our style”. I know I sure do. I’m drawn to warm wood, lots of texture and neutral colors and anything that has a story to tell – whether it comes from the side of the road or a retail store – but I don’t have a name for what it is once it all comes together. Often people will say to me, “This is such a ‘Tonya’ house” – and I take that as the greatest compliment – if my home is reflecting my personality, I must be doing something right! I love all styles. 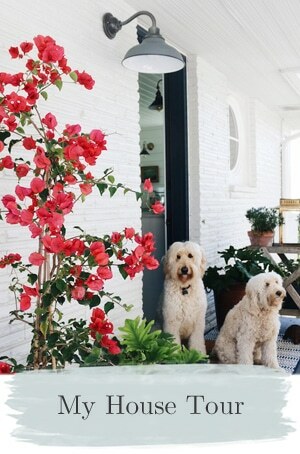 Boho, Shabby, Country, Modern, etc. Bit I’d have to say, having a home-school, makes it a little more like a library. It’s pushed me out of what I would do for myself so that my kids can always remember that home was where the heart was. Where we painted our masterpieces to frame and hang in the wall. Where George Wasington sits at the table on a place mat. Where tea cups are pulled out daily for creative play. Instruments clutter the corners, and cats curl up under a chair. In our Den we have colorful wall maps that inspire us to talk about World, Ancient and American History. We have corners for listening to audio dramas and science/geography/animal magazines stacked in baskets. I love getting old furniture and showing the kids how fun it is to transform something and make it usable. Everyday we are pushed to further create. We also learn to organize paper, books, and toys. One day I’ll miss all this. I’ll create my own little dwelling place for an empty nester. Until then, our home is a creative classroom full of laughter and learning to get along. 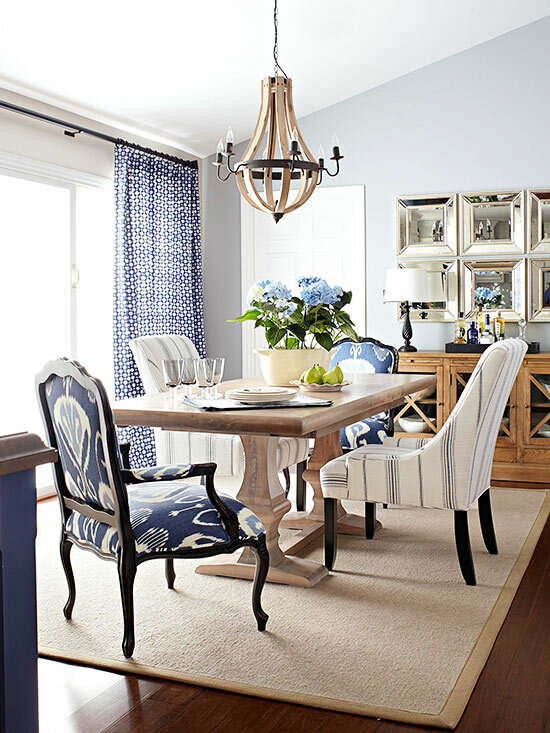 Love this summer-y blue dining room. Gorg! I didn’t know my signature style until Christmas when a relative kindy mentioned that she loves my style. My home is filled with family photos, framed verses, and artwork that my father -in -law or children have made over the years. Everything tells a story! Love this post! I’ve been working on my signature style for a little while. As the budget allows, I add more pieces to add to the look. Thanks for the design encouragement ! Just moved and downside by half…of course my furniture quantity didn’t downsize. My daughter made a comment “mom can’t wait to see how you decorate this house”. I think she’s waiting to see what I need to part with, so she can “shop,” so to speak. She has been borrowing my style for years, but still makes it her own. Friends say they love the smell of my home, which I don’t understand, because I don’t do or use anything specific……I believe it must come from my garden fairies. Great post Melissa! I feel I have a signature style – but I have a hard time “naming it”. Which is maybe a good thing – more personal to “me” than a textbook style. But I think I need to come up with some adjectives to describe it! Love that blue striped carpet!!!!! Finding your own signature style can most definitely be a little difficult at first, but once you find it…. it’s like you can hear angels singing! What an incredible feeling it is. 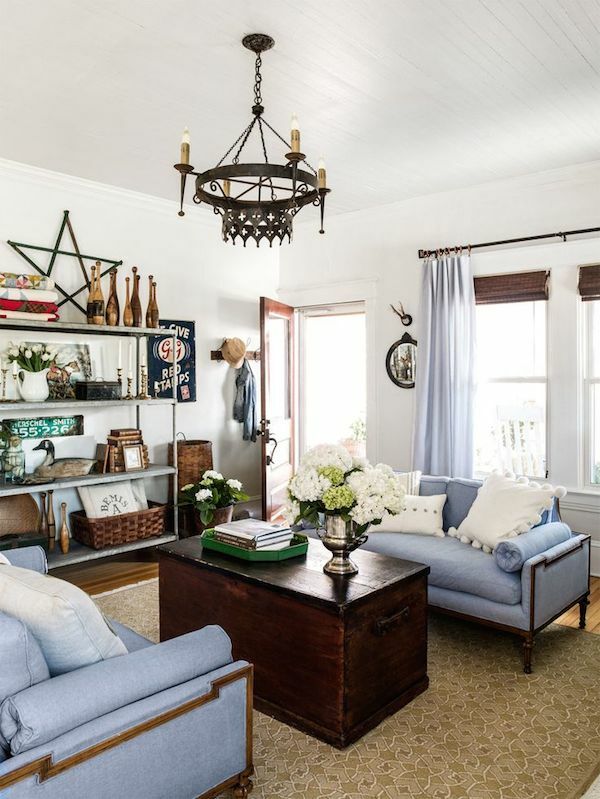 :) For the longest time I thought I fit into the “farmhouse glam” kind of decor style, but have since realized that I have more of a “rustic appeal with a twist of modern appeal” approach. Great post!